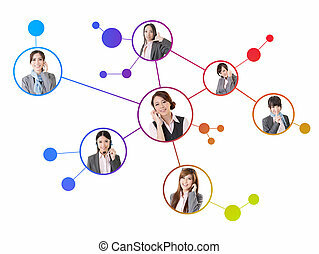 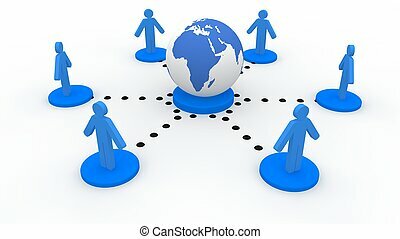 Concept of social media network with business women talking. 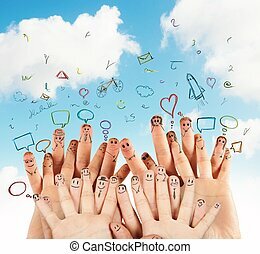 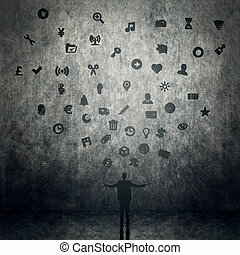 The concept of social network background with people and icons. 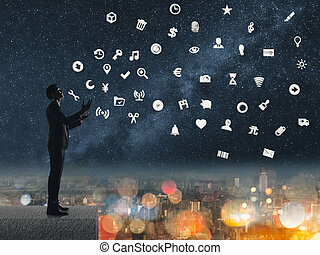 Concept of money, business woman holding a 3d text. 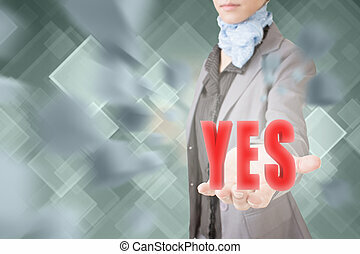 Concept of yes, business woman holding a 3d text. Concept of idea, business woman holding a 3d text. 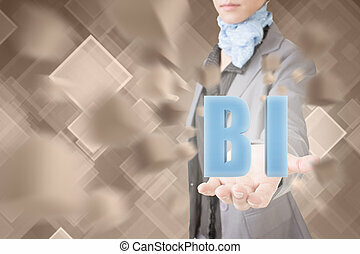 Concept of BI, business woman holding a 3d text. 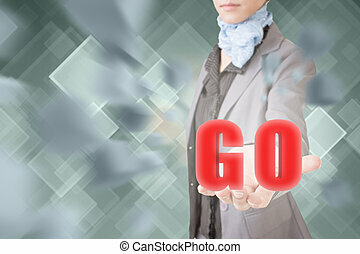 Concept of go, business woman holding a 3d text. Concept of 2016, business woman holding a 3d text. Concept of plan, business woman holding a 3d text. 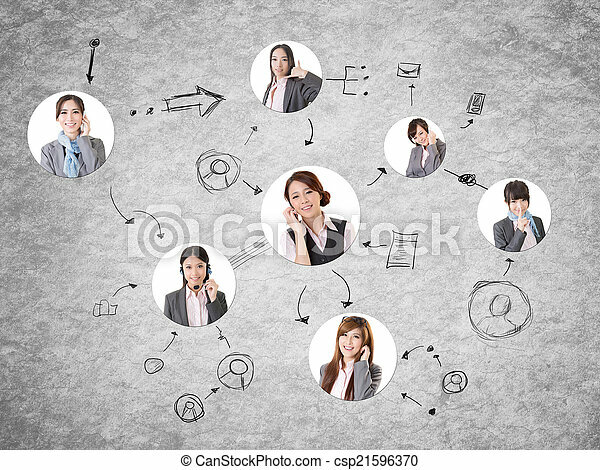 Concept of seo, business woman holding a 3d text. Concept of brand, business woman holding a 3d text. 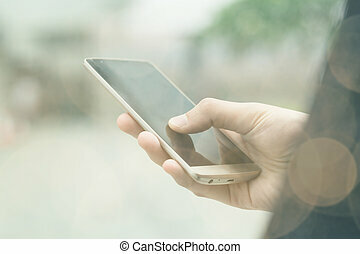 Concept of 2017, business woman holding a 3d text. Concept of best, business woman holding a 3d text. Concept of safe, business woman holding a 3d text. Concept of rules, business woman holding a 3d text. Concept of 2015, business woman holding a 3d text. 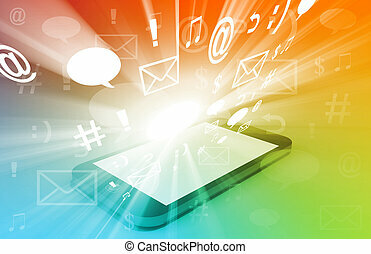 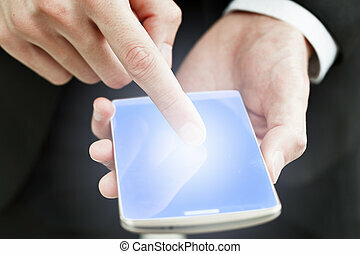 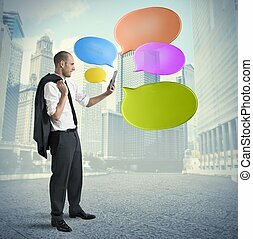 Business man use a cellphone, concept of connect, social media, message etc. 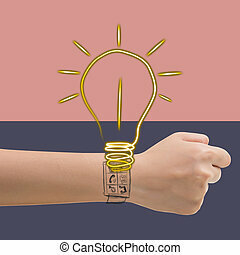 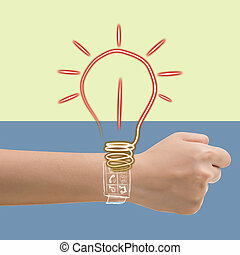 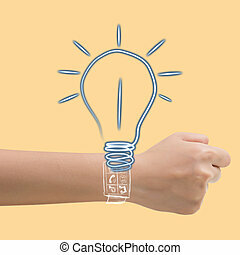 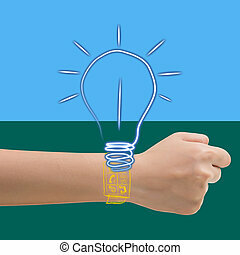 Smart watch concept of idea lamp. 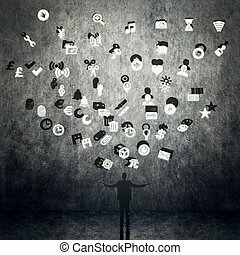 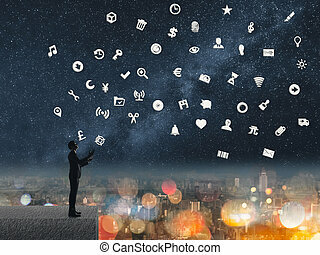 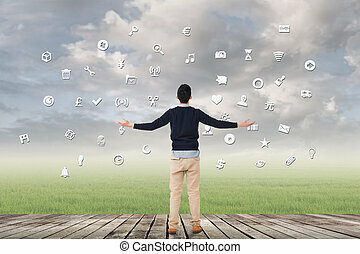 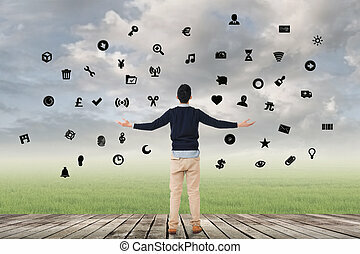 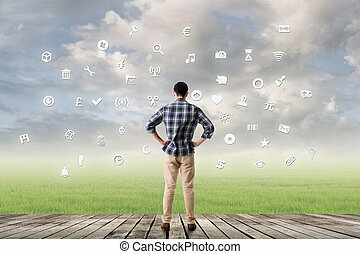 Man with signs, concept of web, internet, technology.